We are probably all aware that the “commercialization” of medicine in the past 30+ years — in association with the development of new technologies that may (or may not) actually improve outcomes for individual patients — has driven up medical costs. Many hospitals and doctors want to generate revenue (and profits); so do most developers of new drugs and devices. Now don’t get us wrong. We are not saying that any of these technical advances are not useful — when used selectively in the most appropriate patients. On the other hand, there are real questions about whether the way in which they are priced, promoted, and marketed (by the manufacturers of the technologies and/or by the physician groups and hospitals that apply them), and actually used on a day-to-day basis are always in the best interests of most patients. We rarely have good data on the actual comparative effectiveness and safety of these technologies in well-defined categories of patient; less still do we have good data on patient perceptions on the quality of their outcomes and whether what the technology actually cost was “worth it.” Indeed, most of us (including. often, the prescribing doctors) are unaware of the real costs associated with the application of technology A in patient B at institution D on any particular day. There is an endemic lack of transparency about the cost of health care in America. 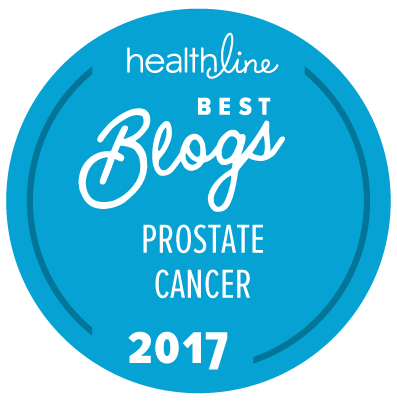 We thought it might be informative for readers to understand that this is far from being just a prostate cancer issue. There is an excellent example of this today in an article about radical robot-assisted laparoscopic hysterectomy on the MedPage Today web site (based on a study by Wright et al. just published in the Journal of the American Medical Association). Many physicians (and many women) have long argued that far too many women get unnecessary radical hysterectomies (that come with a whole series of significant, consequent effects on female biology and endocrinology). It appears that the advent of robot-assisted radical hysterectomy has now significantly increased the costs associated with this procedure, with no strikingly evident benefit to most patients (even if they really needed a hysterectomy in the first place). Why do we raise this issue? Because the costs associated with the provision of health care in America (and other countries too) are rapidly spiraling out of control. However much we may all want (and even feel entitled to) the very highest possible quality of health care, the factors that are currently used to define that “quality” are far from being in the very best interests of patients under all circumstances. They are, on the other hand, very definitely being driven by factors that support the revenue streams sought by hospitals, physician groups, insurance companies, and the developers of new medical technologies. The “New” Prostate Cancer InfoLink is certainly no fan of some of the consequences of the way the National Institute for Clinical Excellence (NICE) makes recommendations (arguably “decisions,” even though formally they aren’t) about whether the regional authorities in the UK should or should not pay for new technologies in England (to pick a controversial example). On the other hand, if we do not find some way to rein in the continually increasing, overall costs of health care delivery in the USA and other nations around the world, then sooner or later the system is just going to break down financially, and we will be left without any way to further explore whether a new technology really does offer a valuable clinical benefit to the patients who really need the opportunity that that technology offers. The “New” Prostate Cancer InfoLink would point out that the ability for a society to actually afford all those “desired health outcomes” is key to execution against that vision and mission. What point is there to being able to make good decisions that one can’t afford — if, for example, you are on a fixed income in your retirement and your health insurance will not cover the cost of a PET scan at the Mayo Clinic because you can’t afford a health plan that will cover that? There are always going to be people who can afford to spend part of their money on seeking “better than average” health care, whether that means a hospital room that is more like a suite at a Ritz-Carlton hotel or flying across the country to see a physician with a particularly high reputation for treating disease X or disorder Y. However, we also need to know, and be able to provide, really good quality care for most of the US population — because failure to do this is actually very expensive. If we want PCORI to help most people make well-informed health care decisions and improve health care delivery and outcomes for most of the population, then The “New” Prostate Cancer InfoLink strongly suggests that more patients and more patient advocates need to be aware of and involved in the decisions about how PCORI is going about executing on its mission. This is not something we should be leaving to bureaucrats and health care professionals. Excellent article. Makes the case for single payer insurance with a rational, evidence-based decision tree for all conditions. My wife is just 4 weeks post-op from a robotic hysterectomy with remarkable recovery but we have not seen the cost yet. Interesting but I think that train has already left the station. Beginning in 2014 the full implementation of health care exchanges the process will begin. It is likely many states will default their plans to management by the federal government. I believe Medicaid will go as well. The bureaucrats will be making the decisions on what treatments are allowed. I believe you are correct that the increases have to be reigned in, but there will be price to be paid. I believe as you spread out reach of care to a greater number of people, the Government will not be able to go as deep as private insurers have done in the past. A large percentage of the recent increases in medical costs were in paid for by ever-increasing costs to employers. I know the medical plan costs in my firm have been increasing at 15-20% per year over the past several years. With the advent of the option for employers to elect to pay a fee to have employees covered by exchanges, my belief is more and more companies will go that route. It is simple economics. Medicare will need to be scaled back as well. I am no expert in this but what I believe will happen is that healthcare exchanges run by the federal government will become the de facto care for the majority of Americans (over time, not right away). Executives and highly compensated people will be provided special “top hat” plans (paid for by the companies they work for) to provide a higher level of service over the basic exchange. The poor will have better access to health care; the higher compensated (including Congress and the President) will have excellent care; and the middle class working people will have to figure it out for themselves. I am pretty sure this is what Mr. O wanted to happen. I don’t disagree with your analysis … but that actually makes it even more important that we know what works well. … Your and my tax dollars will be supporting a large chunk of the system (just as they do today), and I don’t want my (or anyone else’s) tax dollars to be used to pay doctors and hospitals for providing poor quality care that is not supported by good data. With respect to Bob, single-payer health coverage in the USA would be an unmitigated disaster, although it’s fairly clear that’s what President Obama would like. To all those who glorify public-run health systems, I would ask you to actually dig deeper into the experiences in the UK and Germany, for instance. Most hospitals have public and private wings, meaning the well-to-do glide in by a different door and get seen right away by top doctors using the best equipment while the “masses” queue up on the public side and, in some cases, wait months for care. This is why “limousine liberals” love public health care: They can feel good about helping the downtrodden while not impacting their quality or availability of care one bit. As always, it would be the middle class that would lose out over time because they wouldn’t have the resources for the private cover supplement. OK folks … This is NOT a political web site and the original commentary was NOT a commentary on the benefits and failings of any type of health system. It was exclusively focused on the importance of developing systems that allow patients to know much more about the relative values of different types of care under specific circumstances. Further comment about the relative merits of single-payer as opposed to commercial insurance-based systems are just not going to get posted to the site. OK!